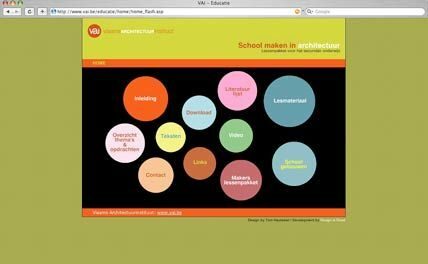 ‘Breaking ground in architecture’ is a course packet designed for working with secondary school students around architecture. 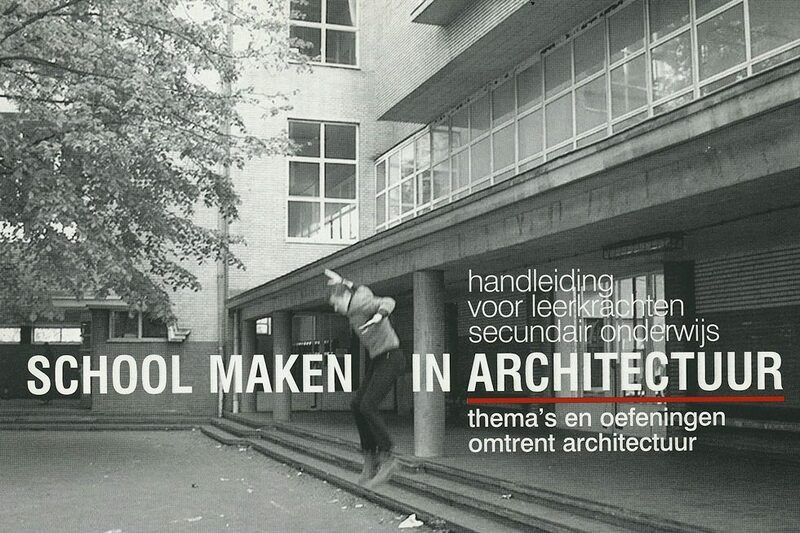 It shows how architecture unites technique, creativity, culture, history, and sociology. 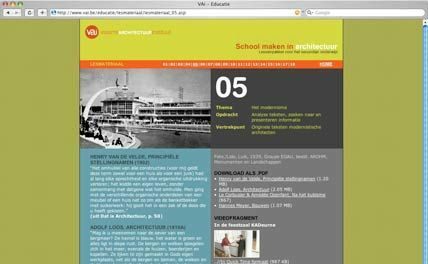 The packet consists of the film ‘When a school becomes a monument’, a handbook with interdisciplinary assignments, and a website with additional information including numerous texts on architecture. 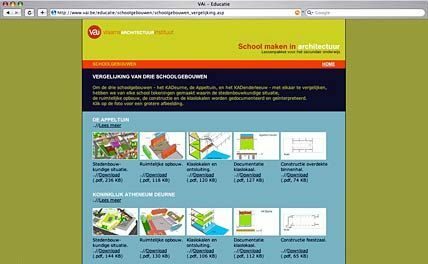 On the website schoolmakeninarchitectuur.be you'll find additional information: drawings and photographs of 3 documented school buildings with a representative architecture and organisations from different periods. 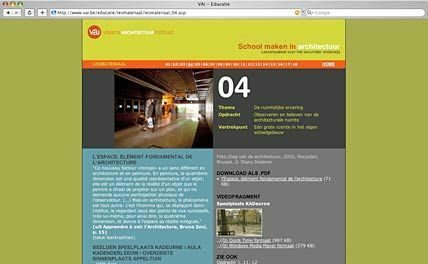 Also on the website are several videoclips and, for the different tasks, texts on architecture.